Through archaeological investigation, a window to the past is opened to allow a view of life as our ancestors lived it. Preserving archaeological resources is vital to keeping this window open. Inevitably, a few archaeological sites are lost as the result of natural processes or accidental discovery, but the destruction of sites for the recreation or commercial profit of a few individuals is far more destructive. It doesn’t matter whether it is relics from a Civil War battlefield or gold or silver from a shipwreck, the “mining” of sites results in an irreplaceable loss to the collective heritage of present and future generations. While archaeology has been described as “destructive” because sites are excavated and artifacts are removed, it is done in a way that does not destroy information nor does it decrease a nation’s cultural heritage. 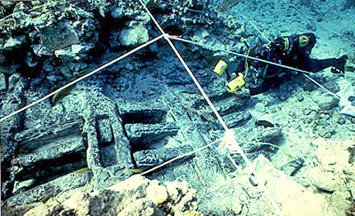 As monuments from the past, shipwrecks and other archaeological sites attract curiosity and wonder. Preservation of sites and artifacts, either in place or in museum exhibits, permits tourists and other visitors to experience them. As keys to achieving a better understanding of history, they afford an intellectual challenge and the promise of discovery. People of many nations are working to protect archaeological sites through legislation and cultural resource management, and efforts are being made to preserve archaeological collections. Reputable museums will not accept artifacts from commercially exploited sites and improved standards are ensuring that collections are conserved and properly stored for use by scholars and the general public. Many academic, governmental and private organizations work around the world funding, conducting and publishing archaeological research, educating scholars and the public, as well as preserving, exhibiting, and interpreting archaeological data and collections in museums. Simply put, archaeological investigations are the best, most efficient use of a nonrenewable resource — a nation’s cultural heritage. A site can be destroyed and its contents disbursed in a moment from salvage, or it may be preserved and enjoyed by the public and studied in perpetuity. All people, not just a select few, benefit from preservation. 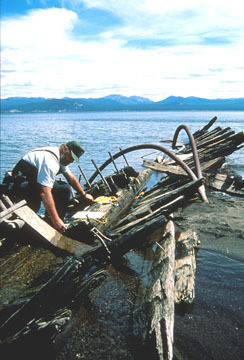 The study and enjoyment of archaeological resources for science, tourism, recreation, and education not only preserves sites but benefits the economy over a long period of time.